Out of at least five or six dozen navies in the world, i'm really hoping this thread will be full of (***ahem*** pardon the expression) a pile of ships before it is through! The Swedish navy has been reduced to an utterly miniscule coastal defence force. Even the naming of the ships is totally unimaginative, which sends an indication fo the minds making the decisions. Anyhow, the few ships are modern, the newest state-of-the-art, so I'll post a few pics. The stealhy Visby-class corvette (5 in commision) HMS Helsingborg, somewhere in some archipelago. HMS Gotland, silent diesel/stirling-sub, first of its class. The other two, Halland and Uppland, also bear the -land names signifying that they are the heaviest ships of the navy (around 1500 tonnes, the lowest high in several hundred years). And this is the mighty pirate ship she seized. Not really Queen Anne's Revenge (which wasn't really big either). The latest i'm aware of are the Greek navy's Russian hovercrafts. Apart of that i dunno much about military stuff, so i'm probably missing a lot. Yes it´s not much more than the royal warship Wasa which sunk in 1628 but resurfaced 1961 and today is the center of Swedens most visited museum. Ah, the USS John S McCain, which is currently tailing a North Korean ship suspected of violating the UN Sanctions. That is probably my favorite picture of a Swedish ship so far. I don't know what it is? Either it's the sleekness factor, the wave pattern Camouflage, the use of stealth technology or it's littoral capabilities... even though it is for brown water use? Nice pictures. Thank you for sharing Styrbiorn! Flipper, i am a little curious... are the last two pictures in your post of the same ship? You have given me a new idea for a different, though nearly similar naval thread with this pic. Thanks! 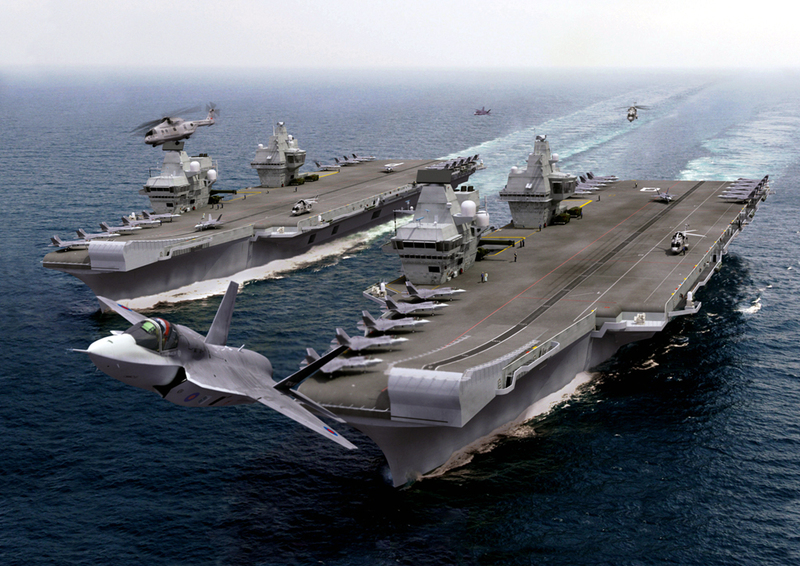 Paul, are those F-35's in the last picture with the aircraft carriers? We don't have much of a navy to brag about in Denmark, so I'll just post a picture of our latest stealth boat - HMS Shotgun. Don't forget the Aegis Ticonderoga class cruisers. 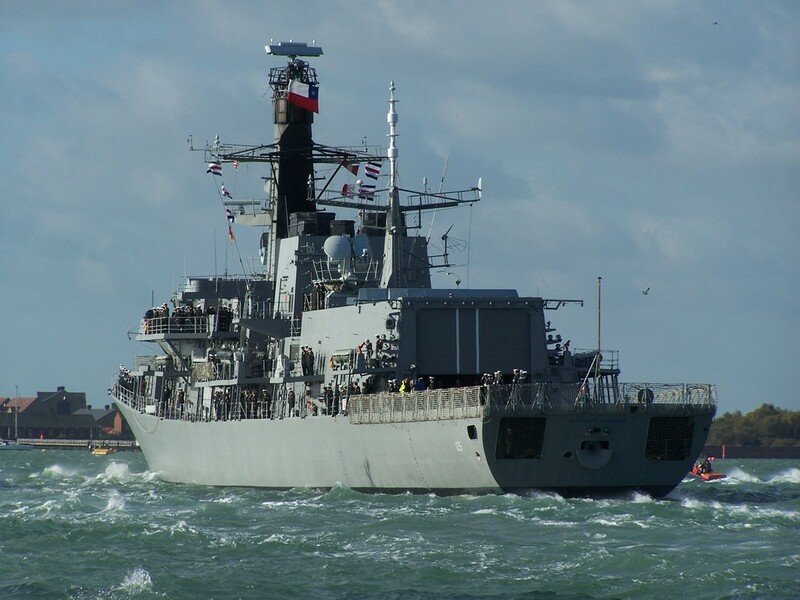 The five oldest have been decommissioned, but the remaining 22 are being refitted for modern duties in support of the destroyer-frigate units and as support for littoral warfare ships (a new class of ships not mentioned). The cruiser is pretty much a fossil of a warship (the Ticos being built to Spruance class destroyer designs), but cruisers are still cool! 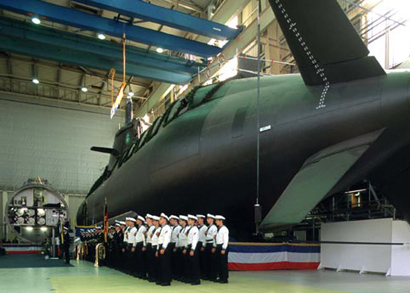 Where are the stealth-Viking ships of the Eric the Red class?? ?....or the amphibious assault ships of the Hagar the Horrible class? We expect more from you guys! Hail Ragnar!!! EDIT....oops, I guess that would be Norway. Maybe i will do some US Navy logistic ships later. Still... i am a little surprised that more people have not responded by putting pictures of their country's naval ships up! I guess my little chest thumping ploy did not work as well as i had planned? I suppose i might have too spend quite some time looking for some good naval pictures too put up here for their respective countries? We don't really have any others anymore, except for minesweepers, minelayers and support ships. 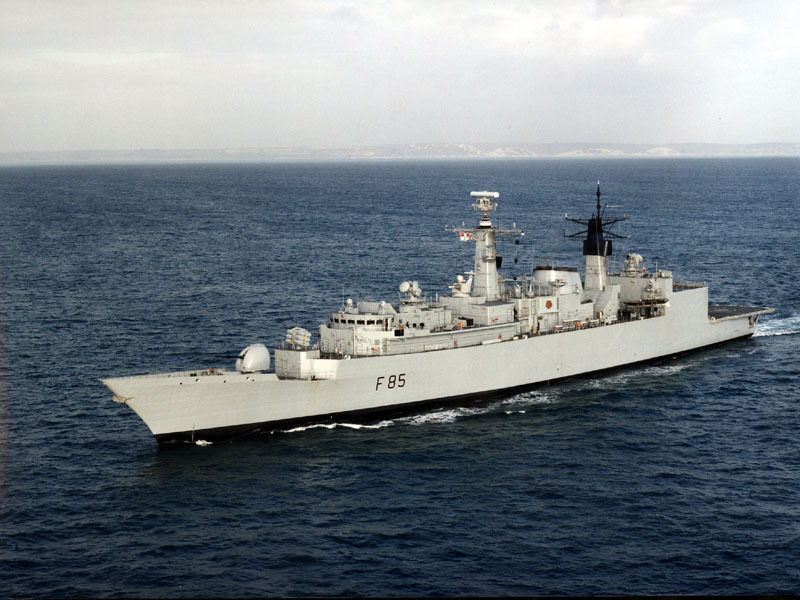 The last frigates and destroyers were decommisioned in the 80s and the last cruiser sold to Chile in the 70s. Even the patrol and robot boats were removed from service a couple of years ago. edit: they still do have the icebreakers though. 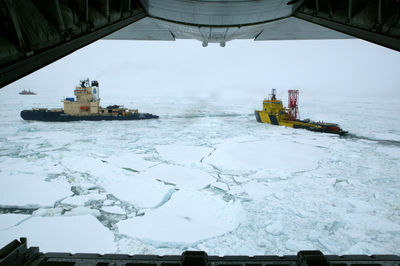 HMS Oden, to the left,together with the Swedo-Norwegian oil platform supply ship/icebreaker Vidar Viking somewhere in the Arctic. The ship on the horizon is the Soviet Russian icebreaker Sovjetskij Sojuz. She's currently involved in exploration of the Arctic and has made trips to the North Pole, assissting research or oil exploration ships. They are no warships anymore though, I think they removed the armaments some years ago. 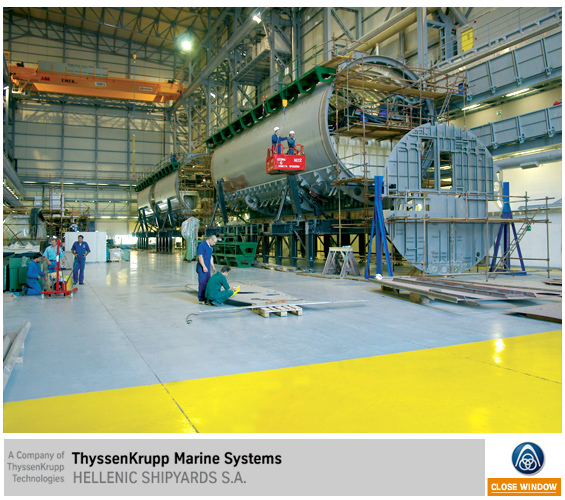 This is a really interesting topic, and I haven't seen that better stabilized design for newer US Navy craft. Very cool. lol @ the killer whale comment, too. -Your from Denmark, Northman? Very cool. I missed this one. Interesting Trimaran design Paul. Thank you for sharing. Yup, those are undeniably F-35 Lightnings. Probably the Lightning II or III. Great planes. I didn't know Britain used them. The RAF typically now uses EF-2000 Eurofighter Typhoons (Generally Tier 4 and above) which are incredible planes, but I can't disagree on their Royal Navy choice for carrier aircraft, as F-35s are incredibly capable for multirole missions, be it air defense or surface attack. Yes, i think it is. Though i don't know the current state of whether the UK has decided on which fighter to go with, the Eurofighter or the F-35? I guess that answers my question about the UK's use of the Eurofighter? Thank you for answering it! Chilean navy don't have the strength of a superpower, but it need to have the power to deffend our limits against adventurers from neighbouring countries (Peru, Argentina) and keep the communications open to Easter Island and Antartida. INS Viraat Aircraft Carrier in Service. Admiral Gorshkv of Russian Navy was recently procured by Indian navy and it is being modified and is expected to Join Indain navy by 2012 beginning.TWo similar Indigenous Aircraft carriers are under construction in Indian ports and is expected to Join Indian navy by 2014. 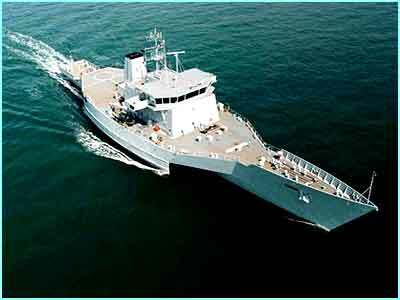 India Procured USS Trenton and recommissioned it as INS Jalaswa in 2007.